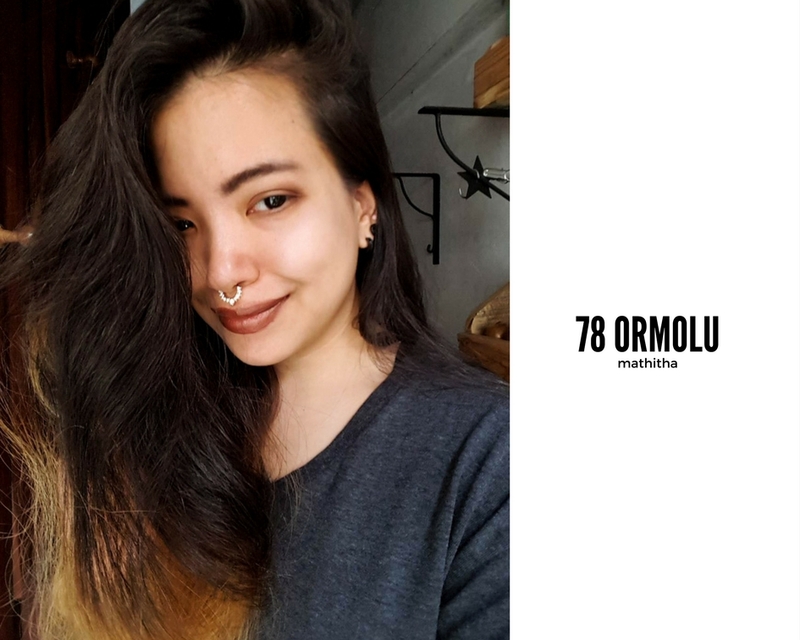 As a Thai beauty blogger of The Equinox Fashion, there are a lot of Thai brands I have had an opportunity to work with. 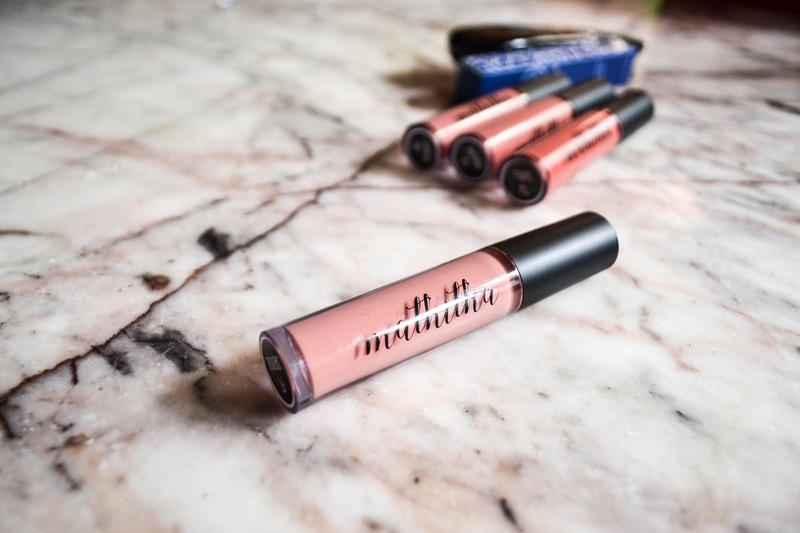 This time, "Matte Lipstick" is what I am doing a review for. 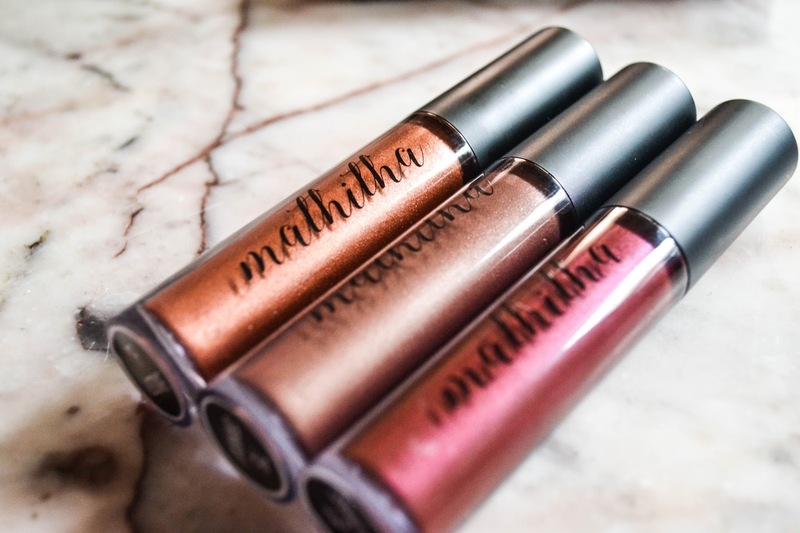 Mathitha, the new face of the lipstick brand industry in Thailand has wowed me because of the quality, which similar to some other high-end brands. 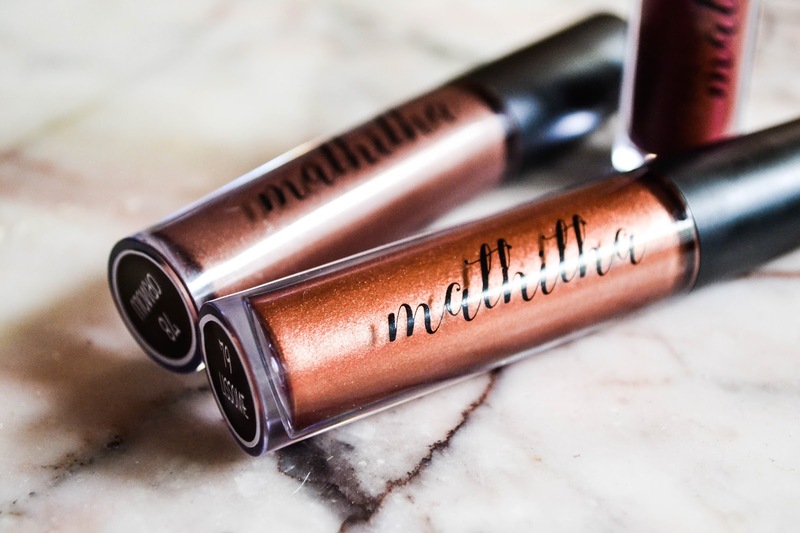 Personally, I really love using the matte one, because it goes with my personality and character than the lip-gloss, or other types. 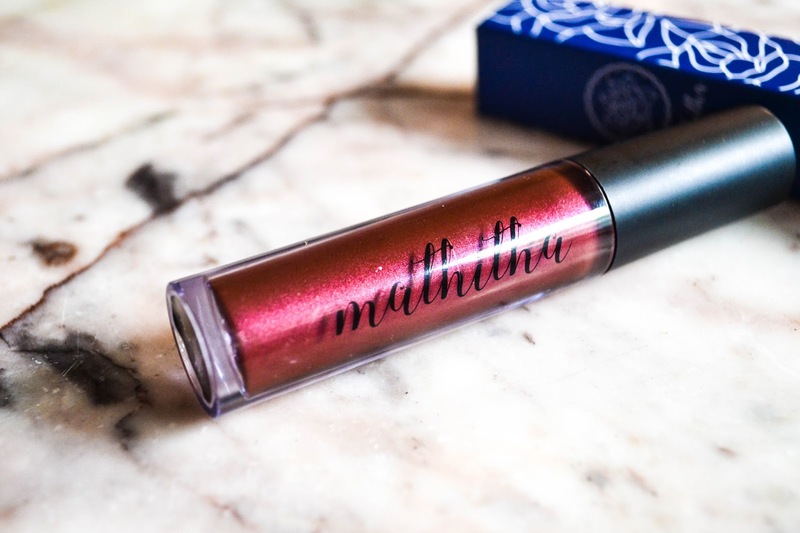 Three words to summarize Mathitha brand are "high-quality, smooth, and cheap"
What do I mean by high-quality? 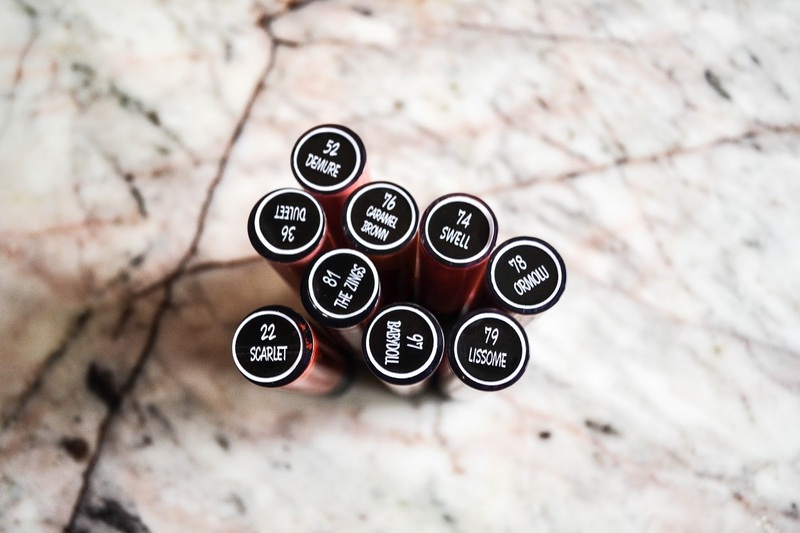 The creamy texture of the lipstick is very smooth and long-lasting. 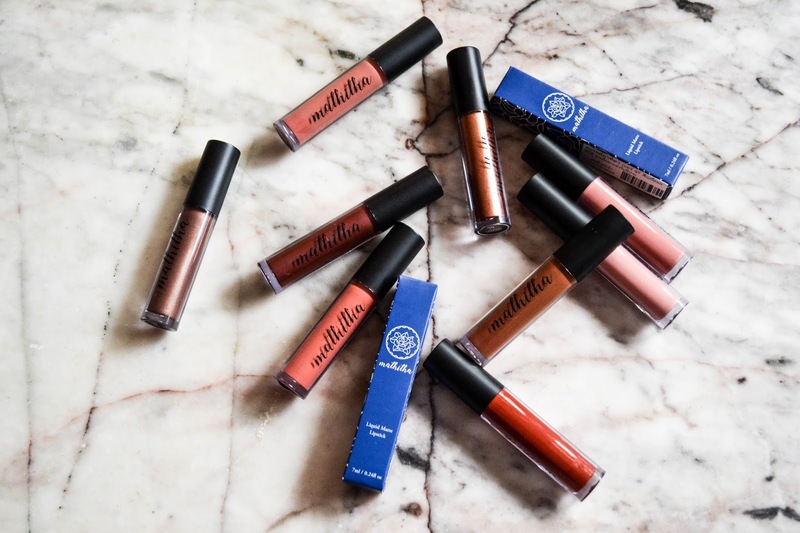 Some of the matte products I have tried make my lips look (too) dry and it just cause a mess all over my teeth (if you know what I mean) However, I have tried all of the lipsticks by this brand, and quite impressed by the quality, because I didn't have to re-apply again and again, or struggling to remove the stain off my teeth. Besides, this's my very first time trying the metallic formula! I had seen this trend all over social media, especially the Instagram and always wondered if it would look good on me...So, I have tried it and absolutely LOVED it! As you can see from the photos above, there are three shades made in the metallic style. They are very pigmented, yet easy to match with the makeup look (as well as #OOTD) My most favourite choice seems to be no. 78 ORMOLU. 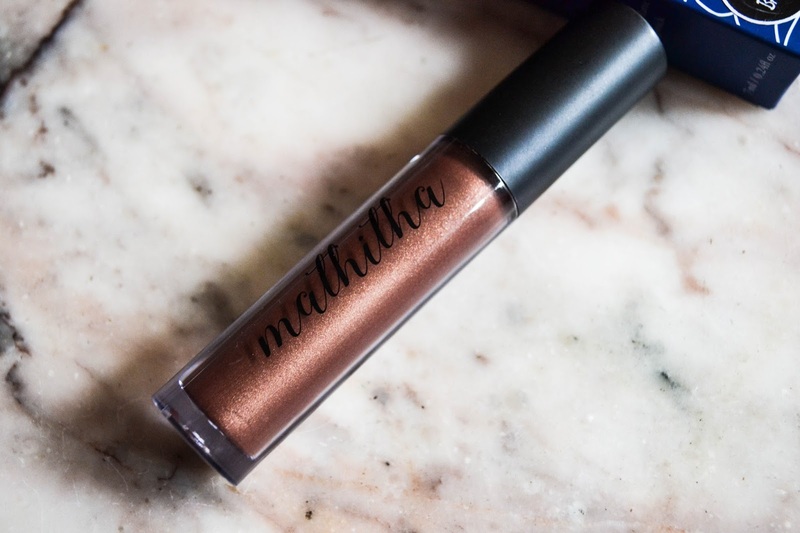 I love brown lipstick, so it can be my go-to selection in everyday style. However, no. 81 THE ZINGS is good for the party situation too! 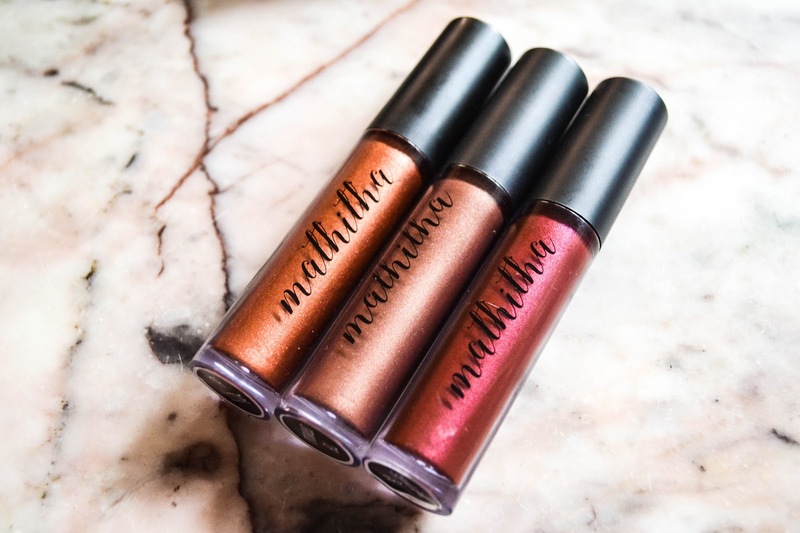 If you want your lips to look very distinguished and shiny, I would totally recommend these three shades! LOVE the metallic shades on you! Love the colours!! Thanks for sharing! Thank you so much for sharing it. I have to use them. So many cute shades!! Also totally obsessed with how pigmented they are! All of the colors look just amazing, specially the metallic ones! 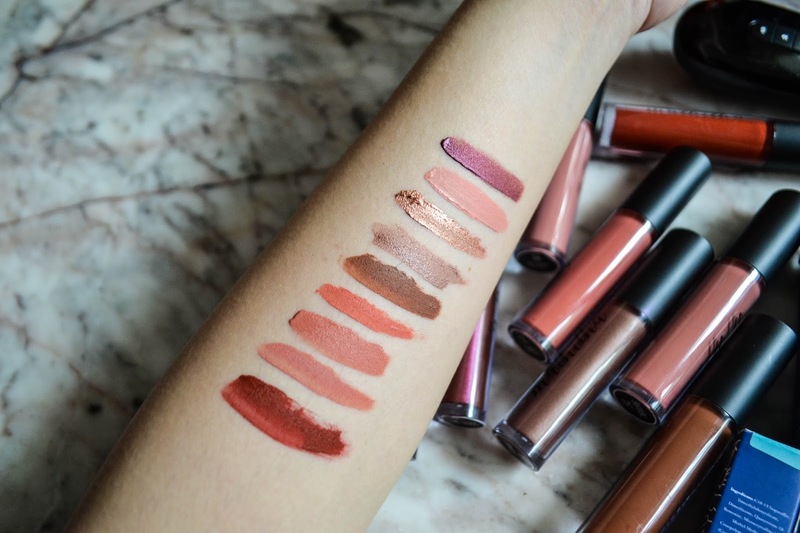 I'm obsessed with matte lipsticks! I love these colors! Wow! I love all the shades :) So appealing :) Wonderful post dear! Stay in touch. I see on your blog always so fantastic Korean brands! 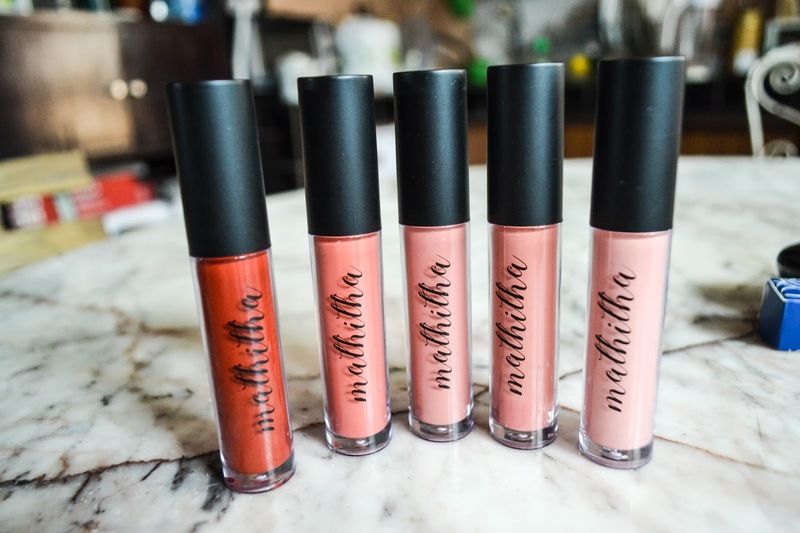 Thank you again for sharing - also in this case as the colours of these lipsticks are really amazing! All these shades are nice but I think brown is the best one. It reminds me of dark lips trend from 90s. 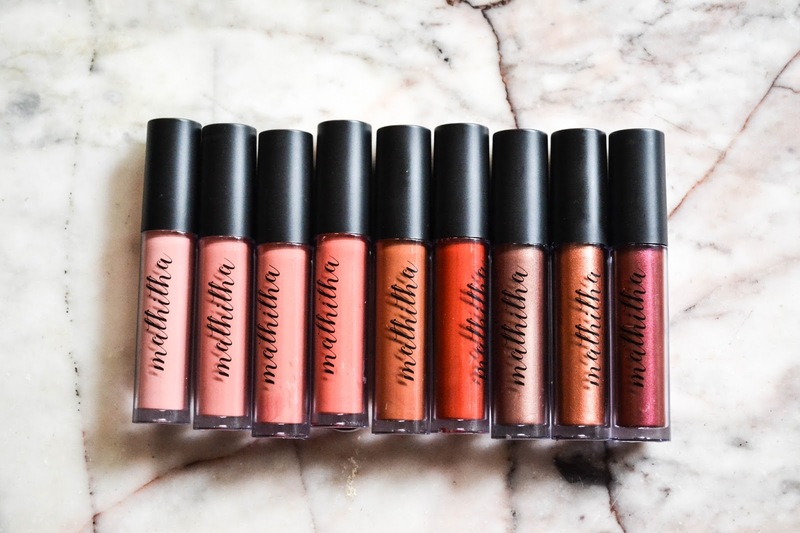 They seem so creamy and pigmented! Maybe one day when I go to thailand i will pick these ones out. Thanks of sharing! Always fun to learn other brands from across the pond. You are such a natural beauty babe! I love that you kept the rest of you makeup very minimal. 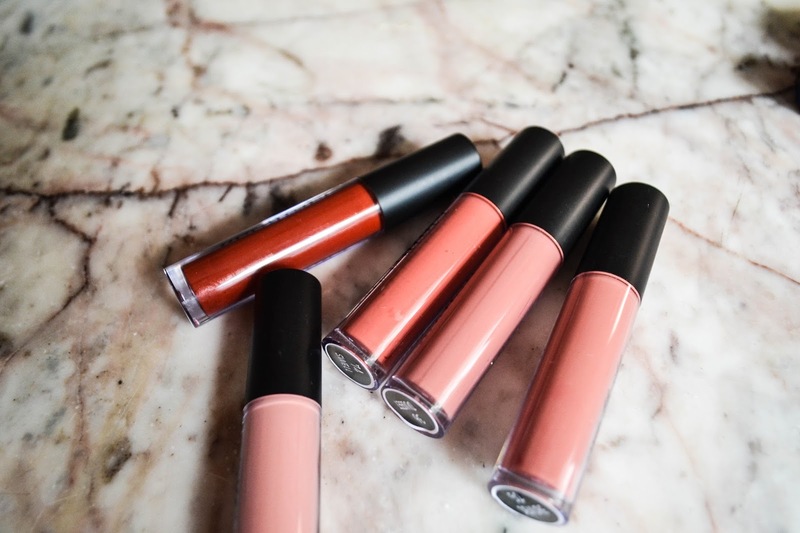 Beautiful lip shades too! Matte lipsticks are my favorite!! All of these colors are absolutely gorgeous and I love how pigmented each shade is! ou are such a natural beauty baby.